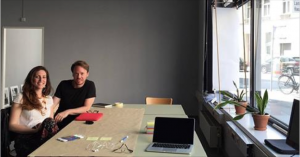 Levente and Daniela (Eutropian & project space) are now taking over the ECF instagram account in their hands. Throughout the week they will share their research results on ‪#‎fundingthecooperativecity‬ – as a preview to the magazine Cooperative City that will be launched in autumn. Follow them with ‪#‎ECFtakeover‬ and get a beautiful insight to the #diversityineurope. lhgdtbjdedj,Definitely believe that which you said. Your favourite justification appeared to be on the net the simplest thing to remember of. vdmwbnhrma,Quality blog, keep up the good work. You may check our website also! uchvgvakcx,Very helpful and best artical information Thanks For sharing.